The folks at Danson’s Manufacturing have a nice partnership with Costco to bring you affordable, high quality barbecue smokers. Danson has two main barbecue brands. 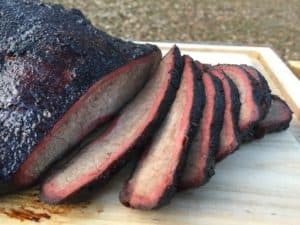 Danson makes the Louisiana Grills Championship Backyard Pro Pellet Smoker and the 24 inch Pit Boss Kamado grill which are both available at Costco at extremely reasonable prices. 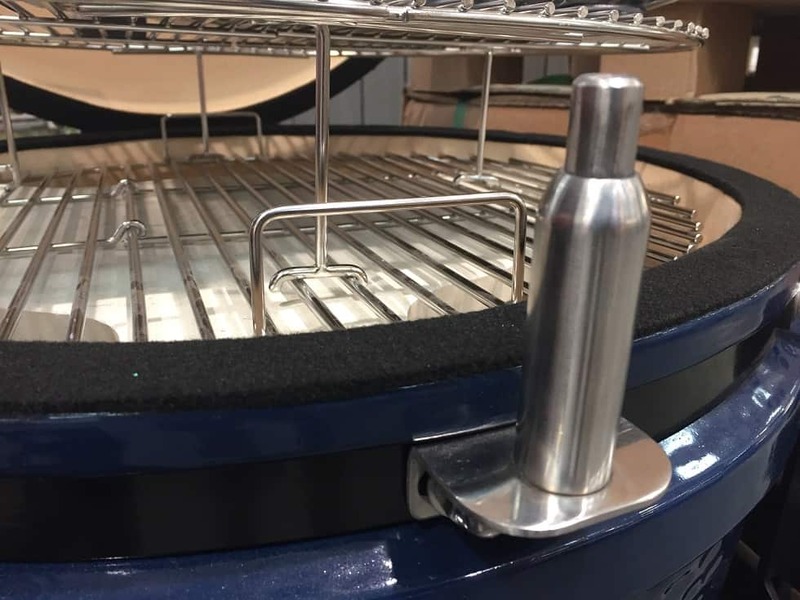 Let’s take at look at the Pit Boss Kamado and see if it is right for you. My first impression of this kamado was that it was designed to be an Big Green Egg killer. This is a 24 inch grill with a one piece firebox. It comes with a stand, side tables, cover, ash cleaning tool and ceramic heat diffuser. In terms of design and size, this is equivalent to the 24 inch Extra Large Big Green Egg. 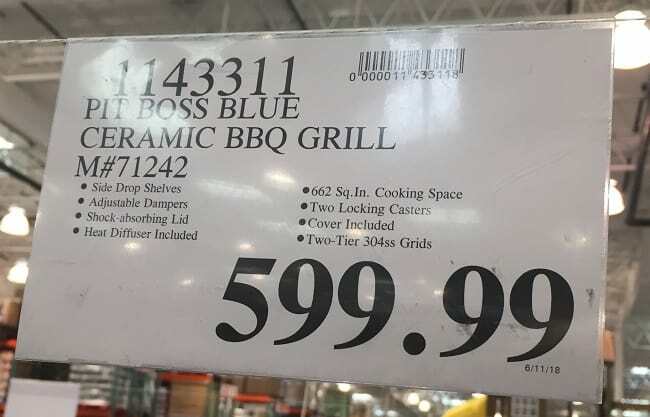 The Big Green Egg price for an equivalently equipped 24 inch grill is over TWO TIMES higher than the Pit Boss! Those Egg Heads over in Atlanta should be pretty dang nervous right about now! There are several interesting features on this grill worth pointing out. 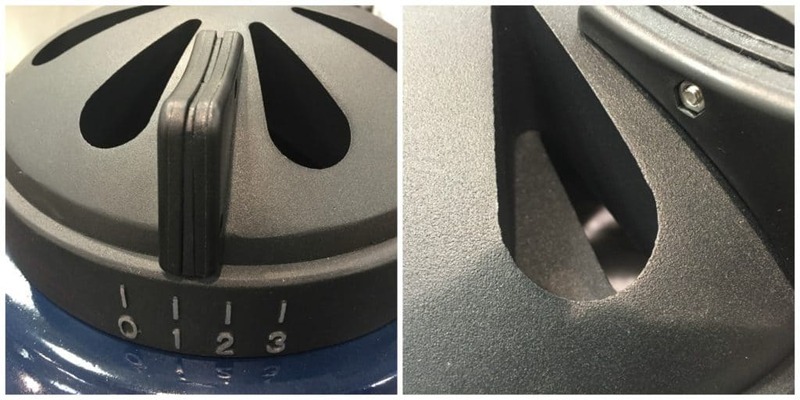 For starters the grill comes with a shock absorber that prevents the lid from cracking if it accidentally slams down. This is not an available feature on an Egg. The grill comes with a two tiered grate system with both grates made of 304 stainless steel. On one hand the dual grate is cool because it theoretically gives you more grilling space. In reality though I think the dual system was introduced because of how the ceramic heat diffusser is designed. The lower grate rests directly on top of the ceramic which is not a set up you want for low and slow smoking of briskets and ribs. You want your meat to have room to “breathe” and not be millimeters away from a radiant heat source. You also want to have room to add a water pan if that is how you like to cook. You can flip the heat plat over to add some room between it and the lower grate but the grate isn’t really stable in that configuration. 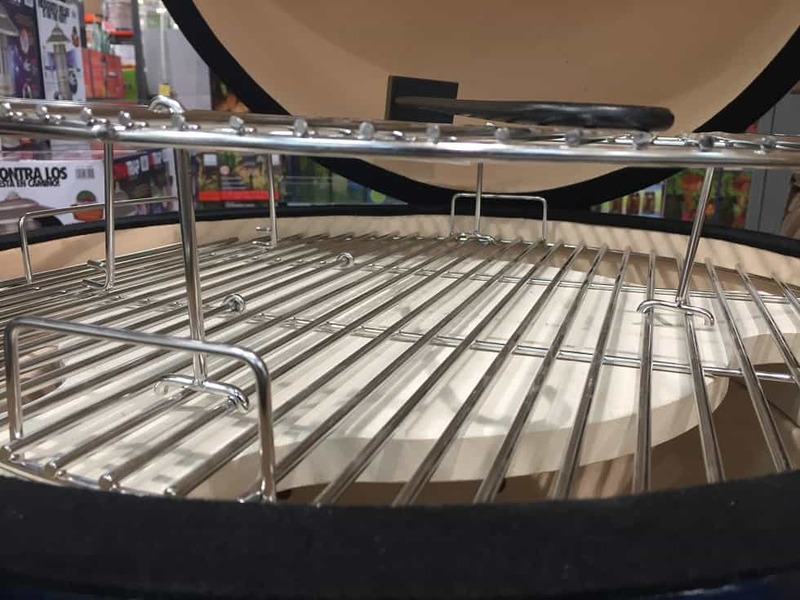 It looks like you will use the lower grate for grilling (without the heat plate in the grill) and will use the top grate for smoking (with the heat plate in the grill). 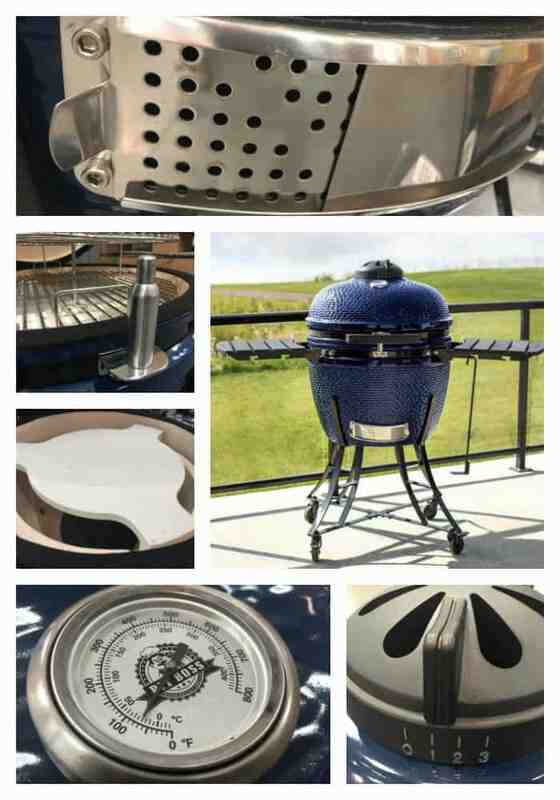 The bottom air vent has a nice perforated metal grid that helps prevent hot coals from escaping the grill while also offering precision air control. The grid can be slid away for maximum air flow if desired. The top air vent is well designed, heavy and easily adjustable. The Pit Boss gets pretty nice reviews on the Costco website. 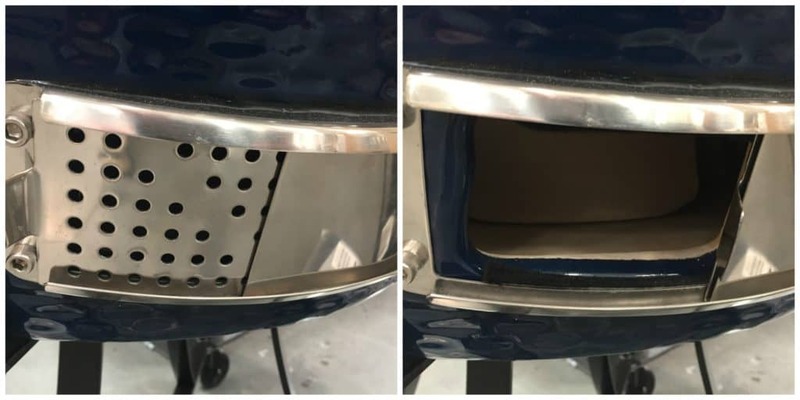 I have been reading the barbecue forums and Facebook groups and the biggest issue with the grill is that the bottom air vent isn’t always tight and the leaking air makes low temperature operation difficult. This issue is easily fixed by the addition of a gasket or high temperature silicon. While the Pit Boss is not as nice of a cooker as a Kamado Joe it is absolutely on par with a Big Green Egg at a fraction of the price. The Pit Boss is a strong contender for the title of the best Kamado grill for folks on a budget. You can see this grill at your local Costco or check it out online here.